These bad-boys look like funky retro spaceman head gear. 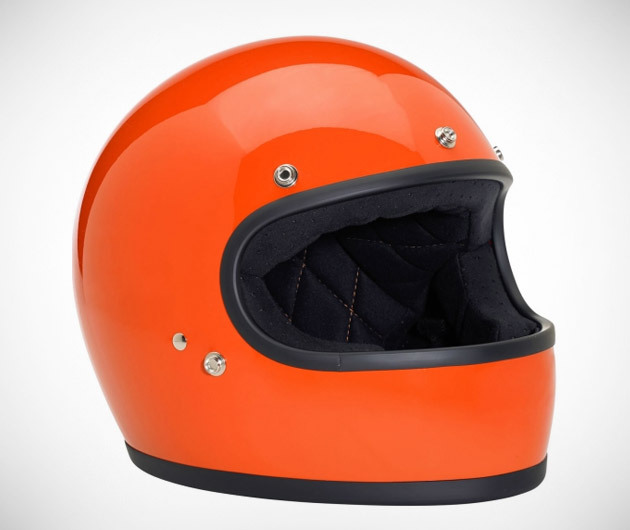 The Biltwell Gringo Helmet is a full face protector that features a seam-free injected-molded ABS outer shell with shock-absorbing EPS inner, hand-stitched comfort liner and open-cell foam with brushed Lycra construction. There's a BioFoam chin-guard and plenty of ventilation too.